Sony fans rejoice. 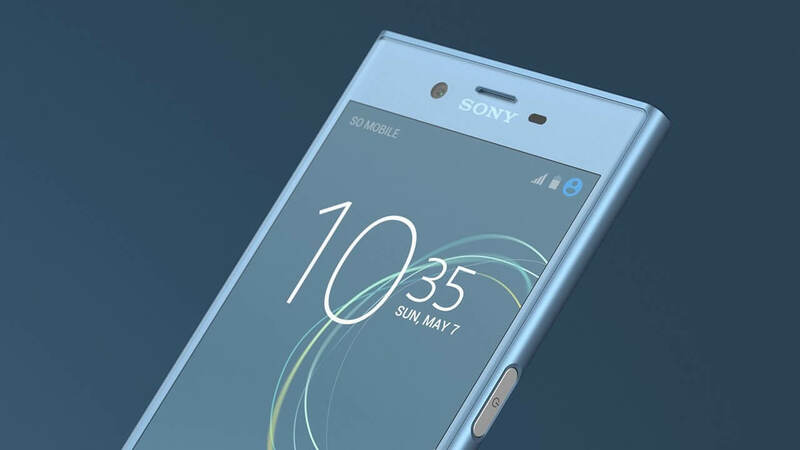 Sony Mobile has announced two new smartphones at MWC, both of which are expected to be available in North America, the Xperia XZ Premium and Xperia XZs. In typical Sony fashion, the design is an evolution of previous Xperia phones consisting of two slabs of glass, a rectangular shape with slightly rounded edges, and a flat top and bottom, with bezels that are larger than what we expect to see in this year's competition. Not much has changed on the outside, though the design remains subdued and polished. The Xperia XZ Premium is a true flagship device, the first officially announced to use Qualcomm's Snapdragon 835 SoC, in addition to a 4K display. It was suggested earlier that Samsung would be the sole manufacturer to use the Snapdragon 835 initially due to the massive demand they required for the Galaxy S8, however the Xperia XZ Premium gets the octa-core SoC and Gigabit LTE support that comes with it. The rest of the Xperia XZ Premium's spec sheet is equally impressive. The 5.5-inch, 3840×2160 LCD (801 PPI) is the second Sony phone to use a 4K display, even if it's not practical as it consumes more battery and may not be VR ready due to lower than ideal LCD response times. You won't see a pixel on this phone though, that's for certain. The XZ Premium comes equipped with 4GB of RAM, 64GB of storage (microSD slot expandable), a 3230mAh battery, IP68 dust and water resistance, Android 7.1 Nougat on board, and an undisclosed release date and pricing. Go figure. The Sony Xperia XZs is slightly smaller at 5.2-inch using a 1920x1080 IPS LCD, but it shares many of the Premium's features. Using the Snapdragon 820 SoC, it gets to keep the same RAM, front and rear cameras, storage + microSD, and waterproofing. The battery is a bit smaller at 2900 mAh due to space constraints. Out of the two, the Xperia XZs may be the phone most people will want to get, if the price is right. Sony is making a big deal about their new "Motion Eye" camera, available on both new Xperias. The 19MP shooter is capable of recording super slow motion videos at 960 frames per second. By embedding fast memory into the camera stack, Sony says they are allowing the camera to buffer shots as soon as the camera detects motion in the frame, so near zero lag among other touted improvements to go along the updated ExmorRS image sensor. Both phones also bring support for Qualcomm's Quick Charge 3.0. Arguably the last truly noteworthy Xperia release came in late 2014 with the Xperia Z3. From that point on, we've seen underwhelming, expensive and confusing releases that haven't been practical for most. We'll see how Sony does this time around against the likes of Samsung, LG and HTC. and an undisclosed release date and pricing. Go figure. Ugh, dear LG: without this information my interest has waned significantly, but at least the phone size is around my sweetspot. Any word of CDMA networks or are they sticking to GSM? Only innovation in this phone is the camera. No flagship phone should be without an OLED display in 2017.